UH Professor Ramanan Krishnamoorti says government agencies and the petrochemical industry should be more proactive and transparent about safety and emergency plans. Firefighters battle a petrochemical fire at the Intercontinental Terminals Company March 18, 2019, in Deer Park, Texas. 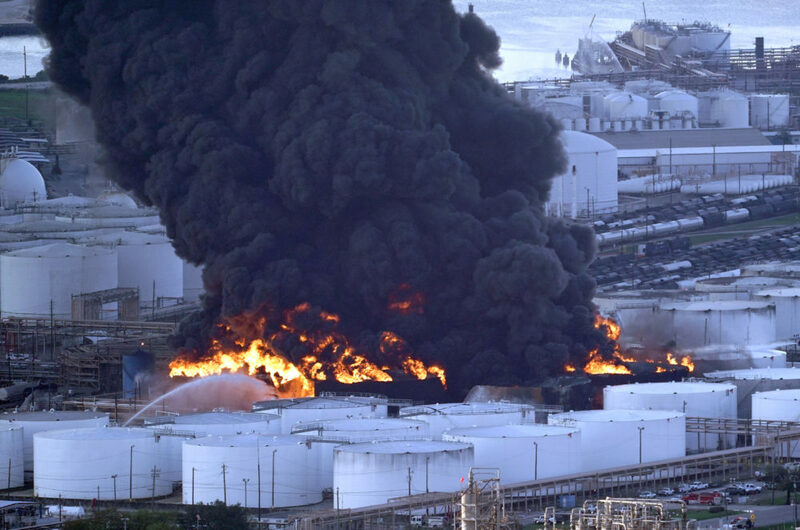 Government agencies and the petrochemical industry should be more proactive and collaborative about devising safety and emergency plans, according to one expert. 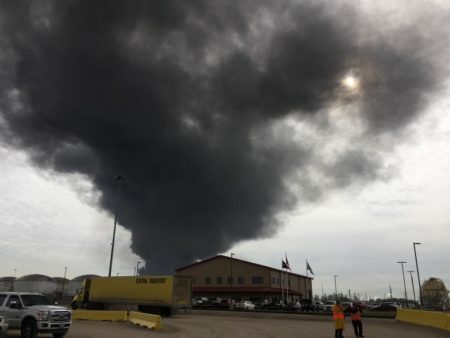 Environmental groups, petrochemical engineers, and community leaders are considering how the Houston region handles man-made disasters like the massive fire at ITC’s plant in Deer Park. Ramanan Krishnamoorti, a professor at the University of Houston’s College of Engineering, spoke on Houston Matters on Wednesday and said the ongoing growth of the petrochemical industry in Houston and the Gulf Coast region justifies being vigilant. “What we need to think about is ‘Where are the challenges going to be tomorrow?’ with all of these pipelines being put down, with all the storage issues that are going to be there,” Krishnamoorti said. Krishnamoorti also said authorities should consider whether air quality monitoring should be done with airplanes, as well as remote sensors and robots, in addition to devices that are used at the ground level. Regional and local officials didn’t issue an emergency alert for air pollution because the chemical releases were carried to an altitude of approximately 4,000 feet. Ground level air monitors showed normal to moderate air quality readings. That’s a point Harris County and Houston leaders repeatedly emphasized. Krishnamoorti said the Environmental Protection Agency (EPA) and the Texas Commission on Environmental Quality (TCEQ) should determine how to make air quality monitoring more efficient and effective.